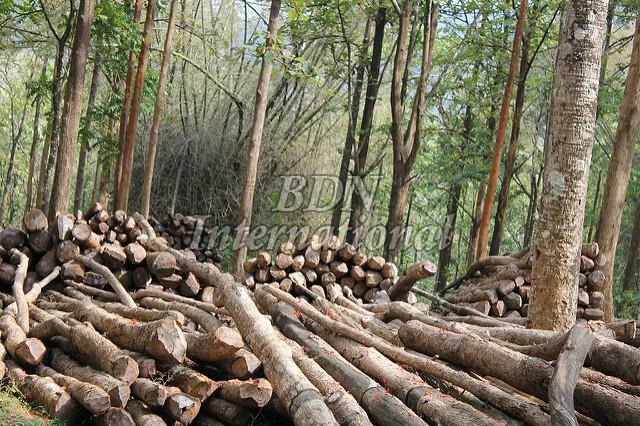 The Wood Comes from Areas of Reforestation and Sustainable Management in Brazil, and Has Different Ages and Measures. According to the Necessity of the Customer. (from 2 to 30 Meters). Urban Arborization - squares, parks and backyards. Decorative Treeing - Small pruned trees, ornamental miniatures in pots, bonsai. Light internal structural: slats, secondary parts of structures. Light internal, general utility: cords, trimmings, baseboards, linings and wainscoting. Temporary use: props, scaffolding, concrete forms. Furniture : General utility - furniture and internal parts of furniture. Industrial : Pinus resin is used for the production of pitch (for the preparation of paints, varnishes, lacquers, soaps, glues, greases, enamels, waxes, adhesives, explosives, disinfectants, thermal insulation, etc.) and turpentine , varnishes, dyes, wood sealants, chemical reagents, synthetic camphor, deodorants, insecticides, germicides, oils, cleaning fluids, etc. ), etc. Because it has long fibers it is widely used in the production of pulp for the manufacture of packaging.